I’ve been looking forward to this event for months. For the first time in over 25 years a hot air balloon festival is coming to Raleigh and Zebulon Memorial Day Weekend. This weekend long family friendly event includes a “Mass Ascension & Balloon Glow”, Competition Flights, and Tethered Balloon Rides. 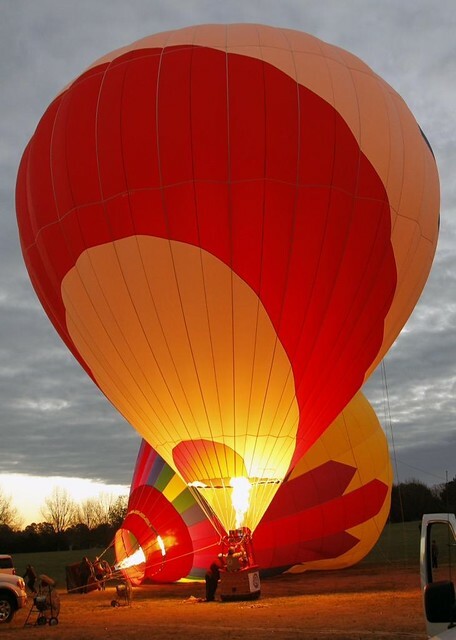 Spectating at the events is free but balloon rides will involve fees charged by the individual operators. I encourage you to check out the website for more information about the weekend long events schedule and parking & shuttles and “What to know before you go”. It sounds like they are expecting a large turnout at these events so plan on arriving early. Chairs and blankets are encouraged and food trucks will be at both sites offering food for sale. According to the website pets are not allowed (except for service animals). Hope you enjoyed it. The photos I saw were amazing!